EAFRD funds through various measures (111,121, 123 and 124) assist the region of Lombardy to improve quality of production and obtain more profitable prices in the market, adapt farms to standards required by the market and improve farmers' income. 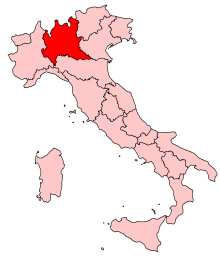 The region of Lombardy has invested considerable resources on the design of agricultural production chains (“filière”) with the belief that it can bring great benefit to farmers who participate in the projects. It has been noted that the measures implemented in this way have generated a lot of interest from beneficiaries. The project aims to upgrade the regional horticulture production chains. This objective is expected to be achieved through the following activities: i) innovation of products (increasing the quality of production); ii) increase of food safety for the consumer; iii) definition of a common strategy for agricultural production; iv) establishment of marketing and integration chains; v) provision of technical and vocational training for the sector’s operators. The project has financial, human resource and IT benefits: i) increased income (more than 3% concerning the product’s market price); ii) increased sales and higher profit for farms; iii) increased employment levels (more than 6%); and iv) definition of an information system to manage and control the production chain flows. The production chain project allows farms to develop different interventions to improve their performance. The project has been supported by several measures which bring an integrated approach in using EAFRD funds and facilitate the getting together of many farms (organised in a chain). The success of this programming approach is thus demonstrated, because effective integrated actions offer a possible solution to support farms during times of economic crisis.